Sometimes, getting to the gym can be a challenge. With everything going on in our busy lives, finding time to work out can fall to the bottom of our to-do lists. When there’s work to do, meals to cook, and kids to look after, carving out time in the week to work out often doesn’t feel like an option. But not anymore! Exercising regularly is key to leading a healthy and active lifestyle, and we don’t want you to feel like you have to give it up. Below are 5 great exercises that you can do for a full body workout at home! Squats will focus on strengthening your quads, hamstrings, and calves, and they’ll also tone your glutes. To do a squat correctly, stand with your feet hip-width apart, keep your chest up and your arms out as you squat down, creating a 90° angle with your knees. Make sure that your knees do not bend past your toes. Repeat 20 times. For an extra challenge, hold a 5 pound weight in each hand. Just like squats, lunges engage your quads, hamstrings, calves, and glutes, but they also work your core, making them a great full body exercise. Standing with your feet hip-width apart, step forward with one leg, bending down until both knees are creating 90° angles. Keeping your weight in your heels, return to the standing position. Repeat 20 times on both legs. Push ups are a great exercise, but diamond push ups will really focus on strengthening and toning your arms. Assume the pushup position, but instead of keeping your arms underneath your shoulders, move them underneath your chest creating a diamond with your thumbs and your index fingers. Because of this new positioning, more muscles will be worked as you complete each pushup. Start with 15 diamond push ups, and increase the reps as they become easier. Russian twists are a great ab workout because they focus on your whole abdomen, including your obliques, which aren’t always worked in normal ab exercises. Sitting on the floor with your knees bent in front of you and your feet on the floor, lean back until you feel your core engage. With a weight in your hands, twist from side to side, rotating as far as you can until you can touch the weight to the ground. Repeat 20 times on each side. Now that you’ve worked all your muscles, it’s time for some cardio! It’s important to include some form of cardio in every workout to get your heart rate up and your blood circulating. Run in place lifting your knees high in the air. Run for 3 minutes. Finding time to workout can be difficult, so make it easy on yourself and workout in the comfort of your home! These at-home exercises will provide you with an effective full body workout that fits right in with your busy schedule. 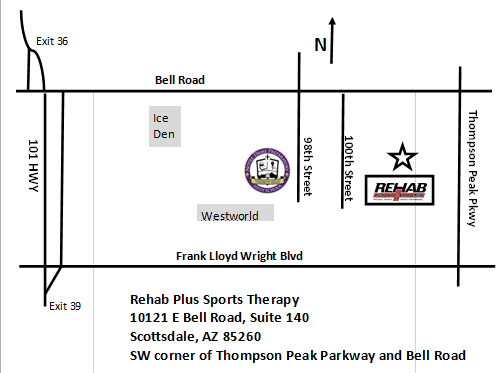 At Rehab Plus, we offer wellness and personal training. If you feel you aren’t reaching your fitness goals, contact us today and we’ll help you develop an exercise plan that’s right for you. For many of us, losing weight is a struggle. No matter what we do, we may have a tough time seeing the results we want. Every year we hear the latest news story about the latest fad diet that is guaranteed to take off 10 pounds in a month. Unfortunately, those regimens rarely work. The reason being because those fad and crash diets truly aren’t good for you, and aren’t helping you to lose weight and keep it off. 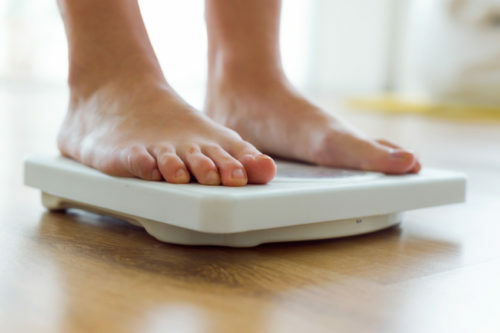 So what really is the key to healthy and successful weight loss? Weight loss is actually a lot simpler than we make it out to be. It all starts with leading a healthy lifestyle – eating right, and exercising. Many of those fad diets focus on elimination; taking out certain foods that are “unhealthy”, and it’s often recommended to restrict your calories, or eat less. While they may produce the desired effect of weight loss, it’s only temporary. If weight loss is your goal, then you should avoid those crazy fad diets. Instead, try the 4 tips listed below! As we said before, many of those diets suggest you stop eating certain foods. But when diets are framed this way, they feel more like a punishment than something that will help us get fit. Instead of telling yourself what you can’t eat, start incorporating foods that are great for you that you don’t typically eat, and focus on what you can have. Focus on lean proteins that will keep you fuller longer. This is especially important for breakfast. Eating eggs in the morning will help you make it all the way to lunch without needing (or wanting) a snack, because they’re full of protein, which produces the “full” feeling. And, you can never go wrong with fruits and vegetables. If you need to have grains, try to stick to eating whole grains for a healthier alternative to processed white flour. When it comes to exercise, choose something that you enjoy doing. Many people who are looking to lose weight develop an unrealistic workout routine that they rarely stick to because it feels like work to keep it up. If you enjoy running, go for a run three or four times a week. If you prefer swimming, make sure to find time for your daily swim. When you enjoy exercising, it will become something you look forward to instead of something you look for an excuse to not do, and it will be easier to maintain the schedule. Getting an adequate amount of sleep, and good sleep, is key to healthy weight loss. When you sleep well, your body is able to burn more calories, even when you’re not exercising. Studies have shown that people who get enough sleep burn calories at a rate 5% higher than people who don’t sleep enough. You’ll also have more energy to get through your daily workout. Best practice: Aim for at least seven hours of sleep a night. Drinking water can boost your metabolism by 24-30%. Wow! That means you’ll be capable of burning more calories throughout the day, just by hydrating. Additionally, drinking a glass of water about half an hour before each meal will help you feel fuller, so you don’t need to eat as much. Weight loss doesn’t have to be such a struggle. Creating a weight loss program for yourself that doesn’t feel restricting or demanding will help you lose weight, because then, you’re more likely to continue the program. These tips should help you develop a plan that works for you so that you can achieve your weight loss goals!